Lila Jay Bell, 79 of Arkadellphia (formerly of Gurdon) died Thursday, September 8, 2011 surrounded by her loving family. She was born June 20, 1932 in Gurdon, AR to Gentry and Elsie Ellis Tate. 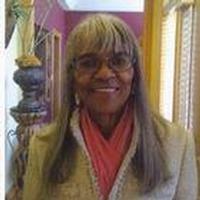 She graduated Salutatorian from Gurdon Colored Schools in 1951. She loved cooking, singing, reading, and spending time with family and friends, but more importantly Lila loved the Lord. She never met a stranger. Her beautiful smile was infectious and contagious. She had a genuine love for people and always had a positive and kind word to them. Lila was a stay-at-home wife and mother for many years. After her three children enrolled in school, she began her career. She worked for the Clark County Extension Service for many years, and then went on to work for the Gurdon Public School District where she retired. She served as a volunteer for Baptist Health Hospice-Arkadelphia for many years. Lila was preceded in death by her parents and maternal grandprants; sister, Charlie Ray Goza; brothers, Lee Tate, Bubba Tate and Hudie Tate and one granddaughter, Brea Giles. She is survived by her loving and devoted husband of 55 years, Henry Bell, Jr.; daughters, Vicki (Michael) Eason of Hot Springs, AR; Vikita Bell Hardwrick of Arkadelphia and Vinita (Phillip) Giles of Arkadelphia, AR: three great grandchildren, Haven (VaShonda) Eason of Fayetteville, AR; Landon Bell and Nia Giles of Arkadelphia, AR; three great grandchildren, Caelan Davis of Arkadelphia AR; Hudson and Vance Eason of Fayetteville, AR; one brother, Lloyd (Florida) Tate of Hot Springs AR; three sisters, Vera Beavers of Cleveland, OH; Inez McRea and Amy Gilchrist both of Camden, AR; one sister-in-law, Willow Dean (Dew Drop) Tate of Los Angeles, CA; and numerous nieces, nephews and friends. Special thanks to Dr. Mark Jansen and his staff-Arkadalephia Medical Clinci; Baptist Health and Hospice staff-Arkadelphia; and personal care givers Staci Luster and Virginia Giles for their loving care. Visitation/family hour will be Wednesday, September 14, 2011 from 5-7 p.m. at Mt. Canaan Baptist Church in Gurdon, AR. Lila's celebration of life will be at 11:a.m., Thursday, September 15, 2011 at Mt. Canaan Baptist Church in Gurdon, AR with the Rev. Johnny C. Harris officiating. The family request memorials are made to: Henry Bell Scholarship Fund at Henderson State University; Mt. Canaan Baptist Church (Gurdon); Family Community Enrichment Center (Arkadelphia). Arrangement are entrusted to Mitchell Funeral Home Arkadelphia, AR. Guest may register at www.mitchellfuneralservices.com.